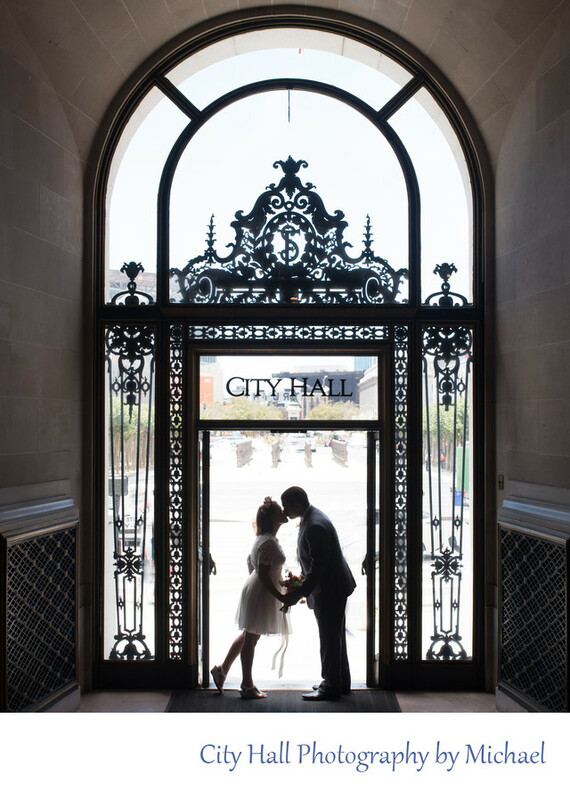 We took photos of this couple through out the building, but one of the shots they really wanted was this inside shot of the main entrance of San Francisco City Hall. We decided to do the shot in a semi silhouette to add to the drama of the image. The bride's dress worked perfectly for a photo like this one.